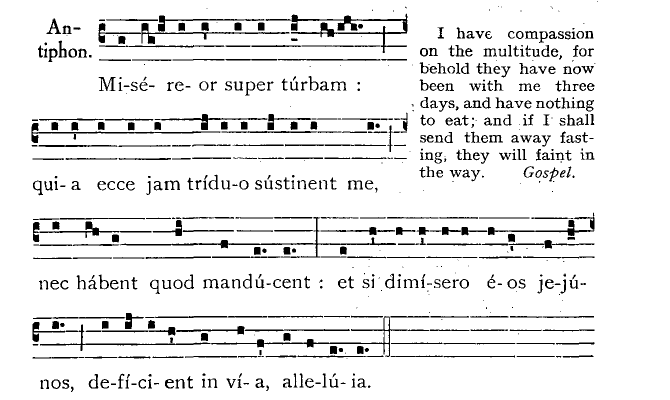 Canticum B. Mariæ Virginis * Luc. 1:46-55. 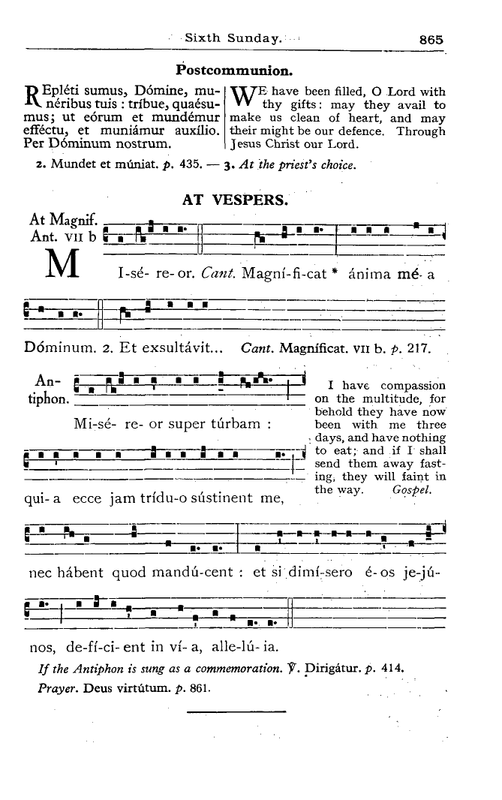 Canticle of the B.V.M. * Luke 1:46-55.
ánima mea Dóminum. 46. 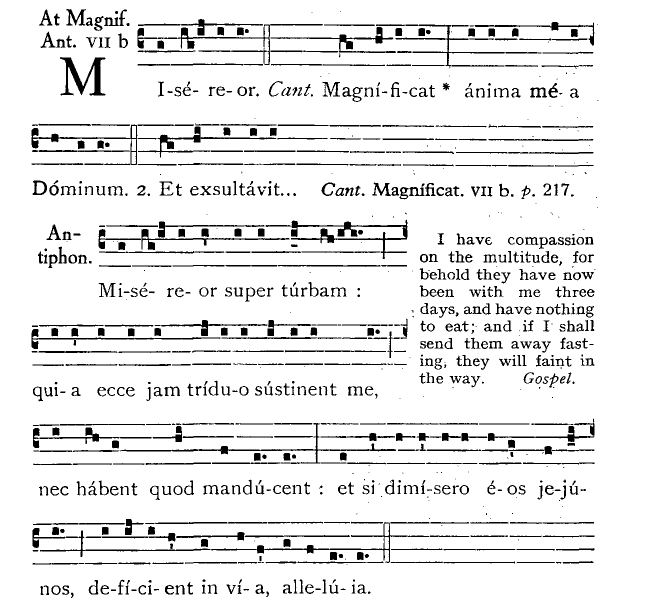 My soul ☩ * doth magnify the Lord. in Deo, salutári meo. 47. And my spirit hath rejoiced * in God my Saviour. ecce enim ex hoc beátam me dicent omnes generatiónes. 48. Because he hath regarded the humility of his handmaid; * for behold from henceforth all generations shall call me blessed. et sanctum nomen ejus. 49. Because he that is mighty, hath done great things to me; * and holy is his name. timéntibus eum. 50. And his mercy is from generation unto generations, * to them that fear him. dispérsit supérbos mente cordis sui. 51. He hath shewed might in his arm: * he hath scattered the proud in the conceit of their heart. et exaltávit húmiles. 52. He hath put down the mighty from their seat, * and hath exalted the humble. 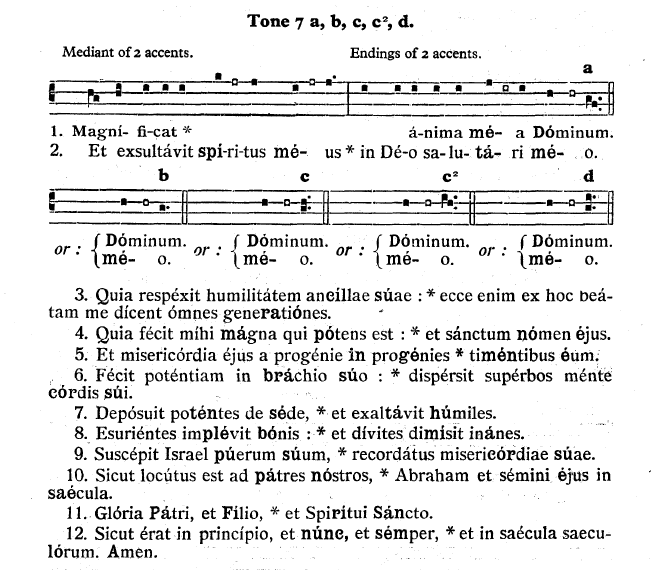 et dívites dimísit inánes. 53. He hath filled the hungry with good things; * and the rich he hath sent empty away. 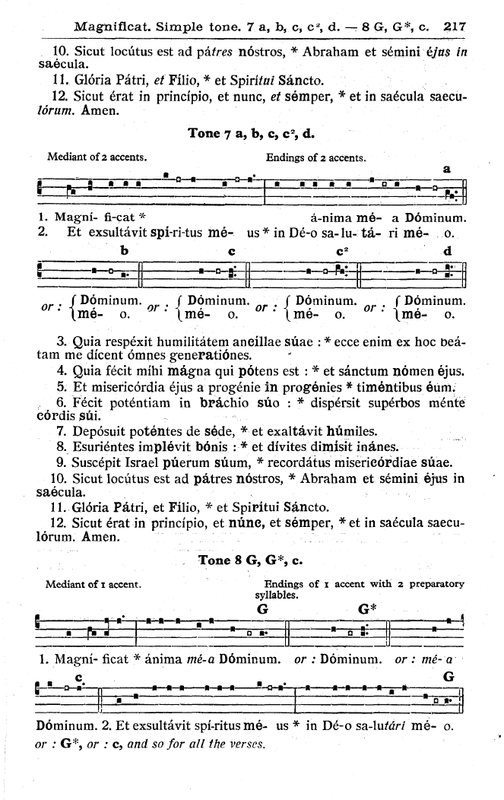 Ábraham, et sémini ejus in sǽcula. 55. As he spoke to our fathers, * to Abraham and to his seed for ever. et Spirítui Sancto. V. Glory be to the Father, and to the Son, * and to the Holy Ghost. et in sǽcula sæculórum. Amen. R. As it was in the beginning, is now, * and ever shall be, world without end. Amen.